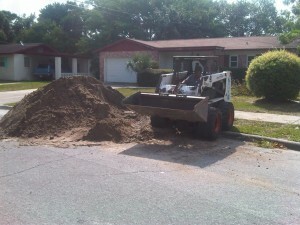 York Excavating offers Bobcat tractor services to homeowners and contractors in the Central Florida metro area. Pricing is by the job or by the hour depending on the circumstances. Our operator, Ed Stoner, has over 30 years of experience and is highly proficient & precise with his methods. 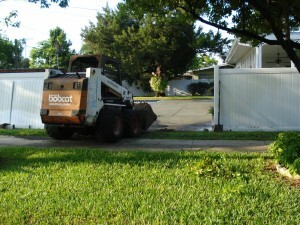 Bobcats, also known as skid steers, are small tractors that pick up and move soil. Their compact size (60″ wide) enables a skilled operator to move effortlessly between tight, confined spaces. In addition, these mini workhorses are an ideal tool for grading and land clearing.